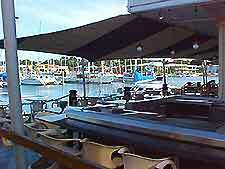 Darwin restaurants are located throughout the city. Visitors can expect to find an excellent selection of restaurants and dining options, serving up all kinds of international and Aussie tucker. 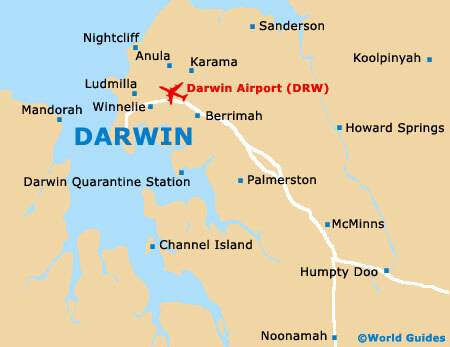 The city of Darwin is known for its affordable dining, particularly in comparison to larger cities in Australia. Restaurants here range from local pubs to snack bars, fish and chip takeaways to the most luxurious restaurants, and eating out is always an enjoyable experience. The majority of restaurants, cafés and dining venues can be found around Mitchell Street, East Point Road, Aralia Street and Smith Street. There are also many excellent choices located on Cavenagh Street, Knuckley Street, Lindsay Street, and Litchfield Street. The Mindil Beach Night Market offers an abundance of mouth-watering food stalls and is the perfect place to enjoy tasting delicacies. Worth noting, most of the larger restaurants in Darwin happily accept reservations for both lunch and dinner. Restaurants and cafés in Darwin are usually open throughout the week and serve food between 08:00 to 22:00, often later at the weekends. Cafés and central hotels tend to provide the best breakfast dining options. Some restaurants do not open for breakfast and instead serve lunch between 12:00 to 14:00 and dinner from around 18:00 until late, while many eateries in Darwin remain closed on Sunday.